The Millville Flight Service Station is fading into history. The closing of the Millville Flight Service Station in New Jersey was already preordained by the Federal Aviation Administration’s economy drive, but it got a little help from some unusual and unexpected circumstances, which moved its funeral up just a bit. The trusses holding the roof up collapsed, causing it to sag; that in turn caused the building to be declared unsafe. 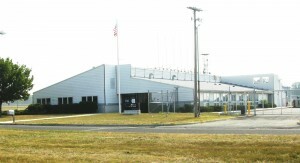 Millville, located in one of the nation’s heaviest air traffic areas, was one of 38 stations scheduled to be privatized. The contract went to Lockheed Martin, which was due to take over operations at those stations on October 4. Since the Millville building was closed before that date, pilots’ calls to that FSS were redirected, for the most part, to the stations at Leesburg, Va., and Islip, N.Y. There was some talk about repairing the damage since Millville wasn’t among the first 17 stations slated to be closed in the FAA’s economy drive. It was expected to close sometime between April 2006 and March 2007. But a letter from Lockheed Martin to the 21 Millville FSS employees, dated September 30 and referring to the building damage, appeared to indicate that permanent closing was imminent. The letter said there were no jobs in Millville “for the foreseeable future,” and that in order to maintain the company’s commitment, they were offering employment alternatives to Millville FSS employees who had accepted Lockheed Martin employment offers as of September 18. One option was a transfer to one of three hubs (Arizona, Texas or Virginia) or 17 legacy sites at any time prior to Oct. 10, 2005. This was described as a “soft-landing package.” That option guaranteed three years of employment, but included forfeiting a completion bonus of $5,000 for signing up and $5,000 for remaining on until the facility closed. The letter said the cost of relocation wouldn’t be covered by Lockheed Martin unless the employee had already been selected to receive a relocation package to one of the hub locations. Another option was a temporary assignment to any FSS of an employee’s choice within the Eastern Service Area. Employees were required to report his or her selected FSS by October 10, in order to receive the soft-landing package, including the sign-on bonus and completion bonus. Employment beyond 120 days will be dependent on FSS operational needs, and the cost of temporary assignments won’t be reimbursed. The letter said that if none of the above options were viable to employees and their families, Lockheed Martin would formally withdraw the employment offer. For numerous reasons, there were families who couldn’t consider moving within the time limit offered, according to Ron Consalvo, regional director of the National Association of Air Traffic Specialists. Consalvo himself worked for the FAA for 19 and a half years and was due to retire in April with a pension of $40,000 to $45,000 a year. He was unable to accept the Lockheed Martin offer, which means he will have to wait until he is 62 to get his pension. He will be 50 in April, when he was due to retire. Now when he gets his pension at age 62, it will amount to less than $15,000 a year. Lockheed has restored local airport advisory services at Millville, working in a temporary building. Consalvo is now working for them on a temporary basis, which he says will probably be six to nine months. Since he’s now working for Lockheed and not the FAA, this time will not count toward the 20-year retirement. The FAA will bring in a temporary tower, which will provide in-flight services; Consalvo will then work there. It will take about three weeks to get the tower facility up and running, according to Jim Peters, an FAA spokesman. The Aircraft Owners and Pilots Association has issued a statement to the effect that Lockheed’s version of flight service will be better for pilots than what the FAA was providing. Phone numbers and frequencies will not change. They also reported that Lockheed is expected to launch the Flight Service 21 (FS21) website by next April. This will enable pilots to obtain preflight briefings, file flight plans, store user profiles and get graphical flight planning and weather information.